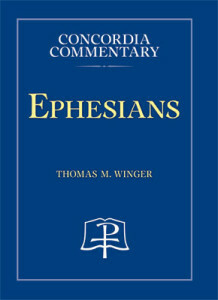 The following is a continuation of an excerpt from the newest volume in the Concordia Commentary series, Ephesians, in which Thomas Winger expounds on the biblical view of marriage and subordination to Christ as described by Paul in Ephesians 5. You can view the first part here. What, then, is the norm by which Paul challenges and redevelops the traditional elements of marriage for application to Christian lives? Surely it is the Gospel, for the sacrificial love of Christ for the church as his bride is the dominant theme of this pericope. 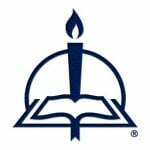 The crucial question, however, is whether (or to what extent) the Gospel breaks down order in the Christian community. Some NT evidence might suggest that it does. Paul admonishes Christians in a similar context “not to think more highly of oneself than is necessary,” to “be devoted to one another in brotherly love,” and to “be thinking the same thing toward one another” (Rom 12:3, 10, 16; cf. Rom 15:5; Phil 2:2). Christians are to look not only to their own interests but also to the interests of others (Phil 2:4). Tracing the language of ἀλλήλων, “one another,” repeatedly turns up such admonitions. Paul calls for there to be no division in the body, but for the members to care equally for one another (1 Cor 12:25). He explains that Gospel freedom is not to be used to gratify the flesh, but to serve one another (Gal 5:13) and to “bear one another’s burdens” (Gal 6:2). The Spirit leads Christians to bear “with one another in love” (Eph 4:2), to “ ‘speak truth with his neighbor,’ for we are members of one another” (Eph 4:25, quoting Zech 8:16), and likewise to be kind, tenderhearted, and forgiving to one another (Eph 4:32). Paul prays that the Lord would make the Thessalonians “abound in love for one another” (1 Thess 3:12). The admonition to mutual service and love is rooted in Christ himself as the prototype. He did not think more highly of himself than others, but humbled himself, taking the form of a slave (Phil 2:7). Like a slave he stripped and bent down to wash his disciples’ feet (Jn 13:4–5). He called on his disciples to show a similar attitude of servanthood, even though they were to become the apostolic foundation of the church. Paul gladly took up the name of δοῦλος, “slave/servant,” for himself (e.g., Rom 1:1; Phil 1:1; Titus 1:1, the same term for the “slaves” in Eph 6:5–8). And yet there is a clear distinction between humility and subordination. Jesus does not trade offices with the disciples when he washes their feet; to the contrary, he firmly rejects Peter’s objection, averring that it is necessary for him to wash Peter’s feet and not the other way around (Jn 13:6–9). For it is Jesus’ office to wash them clean. Jesus does not subordinate himself to the disciples, but carries out his superordinate office as Savior in an attitude of humble servanthood. Paul, likewise, maintains the obligation of the Christian community to submit to their pastoral leaders (1 Cor 16:16; 1 Thess 5:12–13) even while Peter admonishes the pastors to exercise their authority in a non-tyrannical manner (1 Pet 5:2–3). Peter’s subsequent words are enormously helpful in demonstrating that subordination and mutual humble service within the Christian community need not be collapsed into one another: “likewise, you who are younger, be subordinate to the presbyters; and all of you, clothe yourselves with humility toward one another, for God ‘opposes the proud, but gives grace to the humble’ ” (1 Pet 5:5, quoting Prov 3:34). The order cannot be reversed; the presbyters do not subordinate themselves to the young men, yet they are included in the admonition to be humble to one another. Likewise, the above-quoted language of brotherly love and harmony in Romans 12 is followed by Paul’s favored image of the church as Christ’s body (Rom 12:4–5), in which he delineates the unique roles that each part has. Mutual love and humility do not erase the distinctive functions (Rom 12:4). God’s order remains, though the gifts differ and are to be exercised according to God’s giving of them (Rom 12:6–8). So also in Ephesians, the admonitions to peace, bearing with one another, and forgiving one another (4:1–3; 4:32–5:2) do not erase the distinctiveness of the pastoral office established as a gift of the ascended Christ (4:11)—in fact, one of the chief functions of the office is to ensure the harmonious working of the body with all its members (4:12–16). Nor do those earlier words imply that “being subordinate to one another” (5:21) must entail erasing the distinctive roles, offices, and orders within the Christian community and Christian households. Since Paul’s Haustafel describes the relationship between husband and wife typologically, as an image of Christ and the church, one might assume that it addresses only the ideal situation in which both husband and wife are Christian. To a certain extent this is true. Only Christians can render God-pleasing worship. Marriage functions best as a presentation of the Gospel when both parties carry out their divinely appointed roles in accord with Paul’s words. When one party violates the pattern, the marital situation becomes more complicated. Is the wife to submit to her husband only when he is Christlike? Is the husband to love his wife only if she willingly submits to him? On the one hand, even if only one spouse is Christian, that spouse’s submission to his or her God-given role in the marriage (as head or subordinate) is a God-pleasing act of worship. With respect to the proclamation of the Gospel in such an asymmetrical marriage, Paul’s advice in 1 Cor 7:12–16 is apropos. If a non-Christian man consents to live with his Christian wife (or vice versa), the wife’s submission to her unbelieving husband as to Christ or the husband’s Christlike love of his unbelieving wife is a unilateral proclamation of the Gospel that may have salvific impact on the other spouse (1 Cor 7:16). In this case, one must stress that Paul’s respective encouragements to love and to be subordinate are not conditional, but express the calling one has from God (cf. 1 Cor 7:17, 24). On the other hand, Paul in Ephesians 5 simply does not address the very real possibility (faced in his day as much as ours) that the husband might be abusive toward his wife, that he might forbid her to practice the Christian faith or compel her to join him in false worship, that he might betray her sexually or compel her to join him in immoral sexual practices. While a wife might view such marital suffering in light of Christ’s call to take up one’s cross and follow him (Mt 16:24 and parallels), the way of the cross does not extend to disobedience against God, who must be obeyed rather than men (Acts 5:29). The subordination Paul describes is not absolute, but is governed by “the fear of Christ” (Eph 5:21), which implies the priority of submission to the Lord. So also the call for a wife to be subordinate does not mean that she must endure abuse from a husband who had promised and is obligated under God to care for her physical well-being (Eph 5:25, 28; cf. Ex 21:10–11). In such cases, marital separation may be the wisest, safest, and most God-pleasing course of action. Certainly Peter admonishes Christians to endure unjust suffering even as Christ did (1 Pet 2:18–25); yet it is significant that those words come in the portion of his Haustafel that is directed to citizens and slaves, not to husbands and wives—though even the latter must contend with Peter’s concluding admonition not to “return evil for evil or reviling for reviling” (1 Pet 3:9) and may be comforted by his reminder that “even if you should suffer for righteousness’ sake, [you are] blessed” (1 Pet 3:14; cf. Mt 5:10–12). And although divorce is contrary to God’s original will for mankind and is never the necessary consequence of adultery—forgiveness is a central component of the typological relationship Paul describes—Christ himself acknowledges that adultery is such a fundamental violation of the marital relationship that it may legitimately lead to the dissolution of the marriage (Mt 5:32; 19:9; cf. 1 Cor 6:16). Thus, Paul’s depiction of a properly ordered Christian marriage may be tempered by the realities of sinful relationships between people corrupted by the fall. That is, (1) husbands and wives (5:21–33); (2) parents and children (6:1–4); and (3) masters and slaves (6:5–9). From Concordia Commentary: Ephesians, pages 635–38 © 2015 Concordia Publishing House. All rights reserved.